Describe to me what is included in the old $9.95 premium plan. We are having issues with our account. I have attempted to send in a test form because we were having issues with having our completed forms come into our email inbox. I believe we may be over the limit, but do not know what that limit is. The Premium plan is one of our old plans. It is equivalent to the BRONZE plan we currently have. 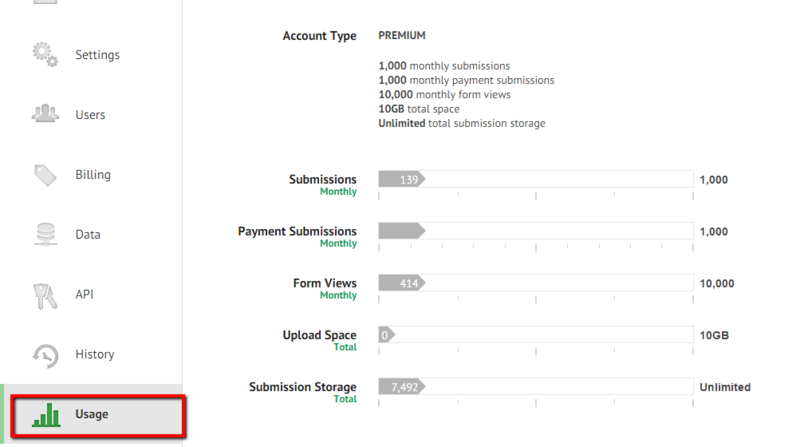 For the amount of usage you have for the month, you can open your ACCOUNT->USAGE page.